This is the second amp from Mosconi’s new PRO series, and suggests more good things are still to come from the brand. Boasting four channels of power – providing 4 x 120wrms of power at 4 ohms, 4 x 160wrms at 2ohms and 320warms bridged. 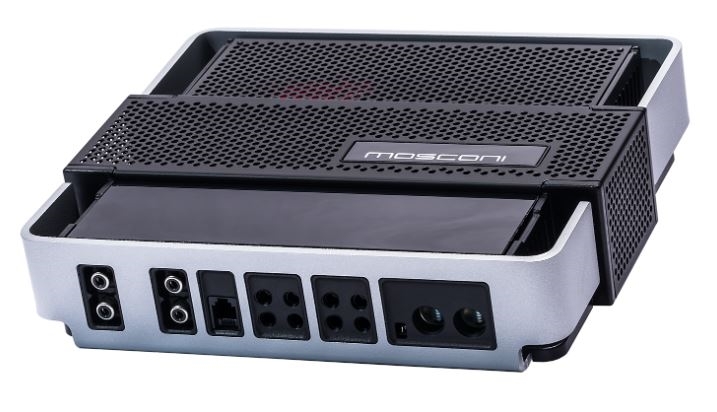 Maximum flexibility is ensured thanks to the inclusion of separate active crossovers in all channels or, alternatively, all crossovers can be bypassed to adapt the input parameter for use with Mosconi’s DSP.